When you’re looking for a new Kia, you want to ensure that you’re getting the best deal possible. 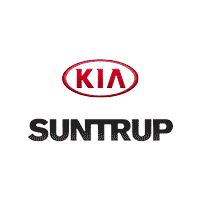 You can rest easy knowing you’ll get the best deal on new vehicle specials at Suntrup Kia South. Contact us today to learn more about our inventory, or simply visit our dealership near Oakville to view our discounted Kia in St. Louis – you won’t be disappointed. $6,872 off MSRP! Remote Start, Blind Spot Monitor. Ebony Black 2018 Kia Sorento SX AWD 6-Speed Automatic with Sportmatic V6 The Suntrup family have been servicing and selling cars since 1957 for the St Louis area.The Suntrup Automotive Group is active in its communities and believes in giving back. Today Suntrup Automotive Group has nine brands, eleven locations, thousands of cars and is every bit committed to providing excellent customer service in every aspect of the business. There's never been a better time to stop in our dealership at 6263 S Lindbergh Blvd St Louis, Missouri, 63123. Proudly serving drivers from Ballwin, Affton and Kirkwood. We're very much looking forward to it. Thanks to our rotating Kia lease deals and finance offers, you can get behind the wheel of that new Optima you’ve had your eye on, for a price you can feel good about. Once you’ve browsed our online inventory, it’s time to come to our dealership for a test drive! After you calculate your monthly payments with our auto finance calculator, visit us near Oakville.